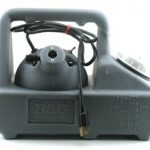 PRODUCT DESCRIPTION: The B & G Fogging machine is an electric device which converts water based chemical into a fog. The most common product used in it is pyrethrum and permethrin. You can fog big areas quickly for flying insects as this machine will pump 9 ounces a minute. TARGET PESTS: Flying insects including flies. RATE OF APPLICATION: This fogging machine has a fixed rate of 9 ounces per minute. How much time you need to fog will depend on the labeled rate of the product you are using. 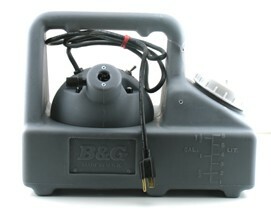 This unit is also available for rental; more details are on our BG 2300 RENTAL page.